Running or owning bars faces significant security risks due to high rate of customer flow, long opening hours and alcohol availability. And that’s why bar security cameras and systems are essential for pubs, taverns, lounges or nightclubs. Met Police Statictics revealed a shocking spike in the number of crimes in London’s nightclubs, bars and pubs. In 2016, officers were called out 9,598 times due to bar crimes, including 1,706 cases of serious wounding and 55 rapes. To figure out if all bars have security cameras and why you should install nightclub security cameras, read on to find the answers in this post. Also, we’ve covered the insider tips on how to select a bar security camera system and the laws concerning installing bar security cameras. 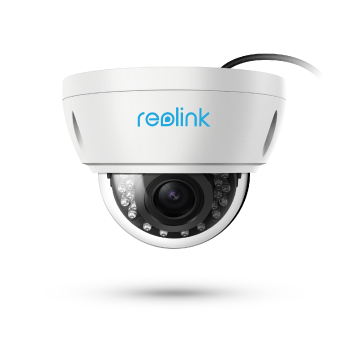 Watch the video of a homeless man trying pulling the windows recorded by the Reolink RLK8-410B4 security system. In general, the standard bars, pubs, taverns, lounges or nightclubs normally have bar security camera systems installed in the public areas, especially for the bar establishments with at least 12 opening hours a day. Taking the bars in USA for example, though the national government has not passed a law specifically about bar security cameras, some city councils, like Chicago, Milwaukee and Baltimore, require all bars within their jurisdictions to place nightclub security cameras. Otherwise the bar establishment’s liquor license can be forfeited. If your location laws also demand the nightclub security cameras, placing bar security cameras in the strategic locations (not the private areas) is absolutely the best choice for you. And don’t forget the bar security cameras and systems might land you on a lower insurance quote, as many insurance companies give discounts to small businesses that actively monitor their facilities (read this to gain more useful information). Have you had fights in your bar in the past? When it comes to cutting down on violence, bar security cameras can make a great difference. The guests are less likely to commit crimes at the risk of being arrested with the assistance of footage captured by bar surveillance cameras. Do you have a problem with “dine and dash” or customer theft? With the nightclub security cameras in use sign warning guests that they’re being recorded, the potential criminals will think twice before their unlawful behaviors. Are you suffering from employee theft? Installing bar security camera systems in stock rooms, cash registers, service areas can effectively prevent the dishonest employees from walking out the alcohol, food, cash or giving out free drink for their interest. Are you ever involved in lawsuits or customer claims? Slips and falls scams, claims of over-serving and being assaulted are quite common in bars and nightclubs. When you are on a sticky wicket, the recorded video of bar security cameras will prove your innocence and you won’t be held responsible for the liabilities you don’t deserve. Do you want to know the traffic flow of your bar? 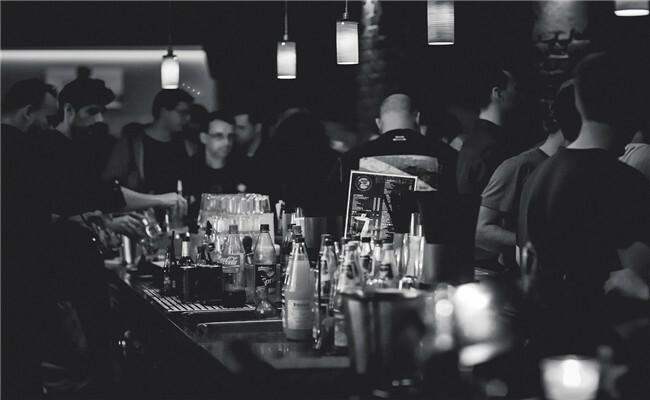 Is your bar constantly busy or do you have “rushes” during happy hour or at a specific time? The security cameras for bars, pubs, taverns, lounges or nightclubs can tell you all the answers including the customer behaviors and preferences. Do your local ordinances require that you should install bar security cameras? Some cities have passed ordinances that new alcohol licensees are required to install high-definition nightclub security cameras inside their bar establishments. And bar security camera system footage should be kept for 30 days. If you were to violate the laws, you could have your license revoked or not renewed. Bar security camera systems can be a handy solution to make your pub safer, so it’s worth knowing about all of your options of the best security cameras for a bar, pub, tavern, lounge or nightclub. The bars and nightclubs normally have dim light, making it hard for the human eyes to recognize the surrounding environment. In such cases, you can use infrared bar security cameras to accommodate for darkness, which are able to capture sharp images in low and poor lighting conditions. The corner tables and crowded dance floors are all the ideal locations for you to place day and night bar security camera systems, so that any abnormal activities won’t slip through the “eyes” of your bar security camera systems. The trick to low light is to get as much light to the sensor as possible. And the best way to do that is install a bar security camera system with the largest-aperture lens. Essentially, it comes down to the proper lens selection of nightclub security cameras. The lower the f-stop you can find, the more light you let in, and the better the bar security cameras will work in low light conditions. 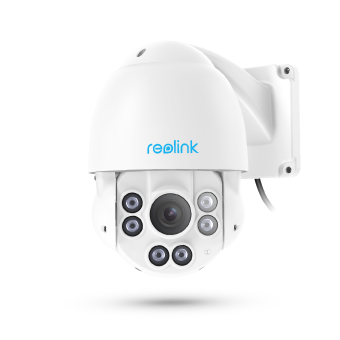 The fixed lens bar security cameras, with a relatively limited field of view, can be applied to monitoring small and high risk areas, such as the cash registers, safes, entrances and exits. !!! Important: Anything that happens beyond the field of view of fixed lens bar security cameras will go undocumented. So make sure all the critical entrances are within your bar cameras’ mechanical eyes. 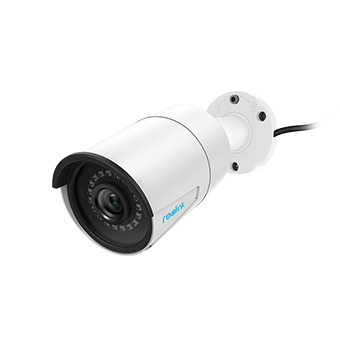 In contrast to fixed lens bar security cameras, the PTZ bar security cameras feature a wider field of view and can provide a larger coverage. Some PTZ bar security camera systems are operated manually while some are automatic. And you can also control the rotating directions via the web-enabled devices, like your phones, laptops or computers. Though the PTZ security cameras for bars, pubs, taverns, lounges or nightclubs are more expensive than the fixed lens ones, in the long term they will prove to be wise investments with their unique advantages (Why should you choose PTZ nightclub security cameras? Click here). The megapixel bar security cameras and systems are able to capture more visual details that the analog bar cameras fail to do. 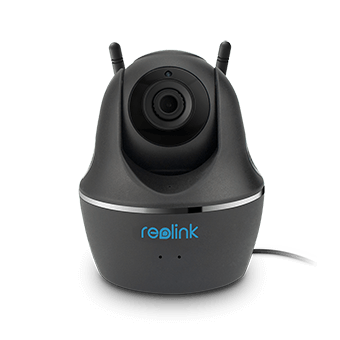 Say, the high resolution bar security cameras can tell human face features when indentifying theft suspects, or capture the steadiness on a guest’s feet to judge whether he is intoxicated. Plus, bar security cameras can fully play their roles in locations near cash counters or with the aim to catch any malpractice. When push comes to shove, the megapixel security cameras for bars can provide the proof you need in the highest resolution. Generally speaking, the public don’t enjoy being monitored and recorded. And they may feel invasive at the bar or nightclub security cameras. To get around this, you can use the hidden security cameras for bars and nightclubs in areas only accessible to your employees where the money or inventory is kept. VIP lounges and other similar areas in nightclubs are also the suitable places where you can position the hidden bar security cameras and systems. While your VIP guests won’t feel uncomfortable and defensive, you won’t also miss out any criminal records. Undoubtedly you are free to install bar security cameras and systems in all sections open to the public, including entrances, exits, cash registers, dance floors, inventory rooms, etc. However, there also exists a bottom line when you choose the mounting locations of security cameras for your bars, pubs, nightclubs, taverns and lounges. The explicitly private areas of your bars, such as locker rooms, changing rooms and restrooms are PROHIBITED from installing nightclub security cameras. Placing bar security cameras within the aforementioned areas is not only morally reprehensible, but it also may bring your business lawsuits and other legal trouble. And some states may permit video surveillance but not audio recording. If your bar security camera system has a built-in microphone, there should be a sign in place indicating that audio recording is taking place. Or you may be charged not only with eavesdropping, but also wiretapping. Assuming you have installed the best security cameras for your bar, pub, tavern, lounge or nightclub, that doesn’t mean you and your bartenders can relax your vigilance. Apart from the bar security cameras and systems, there are also additional methods to make your bars safer and secure in conjunction with your nightclub security cameras. First off, it is important that your bar employees are aware of signs of crimes to look out for, when not to serve alcohol to customers how to make your registers safe from robberies. By providing regular professional training for your bar staff, they will know how to handle various tough situations should they arise, thus cutting down on the crimes and possible lawsuits about over service. Besides, you can also take advantage of other security tools to increase your bar security level, such as the bright lights in your bar parking lot or a burglary alarm. Simple as these additions are, they will make your guests feel protected and win more trust. So do you have bar security cameras and systems installed in your pub, tavern, lounge or nightclub? And what other proactive security measures have you taken to improve your bar security? Share your experience with us in the comment below! This entry was posted in Buyer's Guide and tagged bar cameras, bar security, laws, privacy, small businesses. I know that it is legal for bar owners to install cameras for security reasons, but is there any legal documents that support this? Hi, Bobby, yes, there are legal documents that support the usage of bar security cameras and you may search related info online. For example, the Queensland government demands that for the bar trades after 1am in the Brisbane City Council (BCC) area, the bar owners should install CCTV security cameras at entrances and exits, https://www.business.qld.gov.au/industries/hospitality-tourism-sport/liquor-gaming/liquor/compliance/bcc.